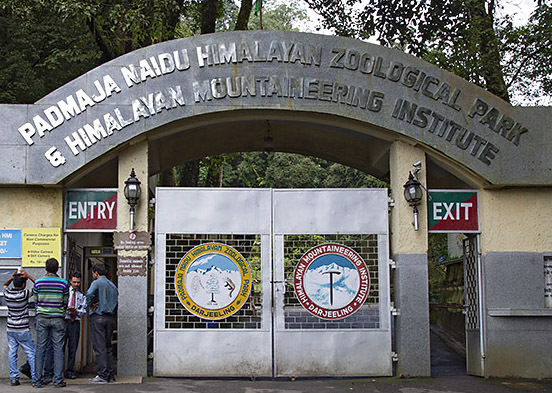 The Padmaja Naidu Himalayan Zoological Park, better known as Darjeeling zoo, is set to increase its residents by bringing in a pair each of the Takin (of the bovine family) and Binturong (related to the civet) from Bhutan as also a pair of clouded leopards from Tripura by the end of this year. The Takin and Binturong will be new entrants in addition to the 49 species that live in Darjeeling zoo for conservation and breeding purposes. On the other hand, the clouded leopards will increase the species members to three from the existing lone male. Plans are also afoot to acquire a male red panda from an Australian zoo in exchange for a female to improve the bloodline. Zoo officials said the acquirements are in the proposal stage, but paper works have already started. “Acquiring animals from other zoos is time consuming. That is why we have already started the paper works. Accordingly, we will be getting a pair each of the Takin and Binturong, which are normally found in Arunachal Pradhesh, and a pair of clouded leopards from Tripura. We also have plans to exchange a red panda with an Australian zoo,” said Piar Chand, PNHZP director. Today, the zoo conducted a day-long workshop on the module of zoological information management system in collaboration with the Central Zoo Authority to share ideas of management and conservation activities. 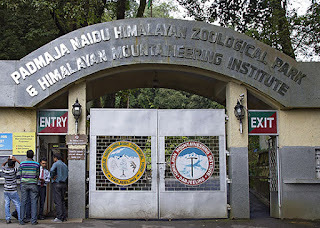 Darjeeling zoo is also a member of ZIMS (zoological information management system), which is a trustee organisation for conservation of animals from the Asian region. “Through ZIMS we can share information, ideas and management systems that zoos across the world undertake. Being its member we have access to all sorts of information about animals that we want to exchange or acquire from other zoos,” Chand said. The workshop was attended by zoo representatives from Assam, Sikkim, Arunachal Pradesh and Tripura. It was conducted by Moin Ahmed, the regional coordinator of ZIMS from the South Asian region. The PNHZP has already enlisted its 49 species of 348 mammals, amphibians and birds with ZIMS to share information about all details of its inmates with other zoos. “It has become very convenient for us in terms of knowing how other zoos are working in the field of conservation, medical care and upkeep of animals. With ZIMS we have access to every detail of the animals we want to exchange or acquire. In fact, we are getting the Takin, Binturong and the red panda after going through their details from ZIMS,” elaborated Upashana Rai, the zoo’s scientific research officer. The clouded leopards due from Tripura are part of the Darjeeling zoo programme to conserve the species found in the region. “Besides breeding, we also have programmes to conserve endemic species like the clouded leopard and pheasants that are found in the eastern Himalayan region. We need to make people aware of these endangered species,” Rai said.